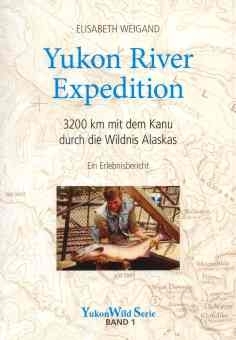 Yukon River Expedition features a 3.200 kilometer long canoe trip down the majestic Yukon River from its origin at Marsh Lake, Yukon all the way to the Bering Sea in Alaska. 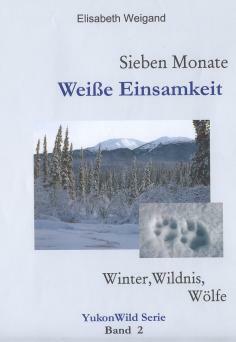 Sieben Monate Weisse Einsamkeit tells the story of a 7 month long winter in a self built cabin in the Coast Mountains regions. Scatter my Ashes in the fields up top, a collection of adventurous short stories, is a tribute to an amazing woman, as wild and true as the Canada’s North. For my best friend, horse mentor and “partner in crime”, this memoir was written as a tribute to Mabel Brewster. Before, it was always springtime when I celebrated my birthday. Now, not so much. March in the Yukon still sees ice and snow on the ground and temperatures down to -20oC at night. Days are warmer, yes, sunny and bright and full of promises for another summer, which is still more than 2 months away. Nevertheless, the calendar marks March 21st as the beginning of spring, and also it is my birth­day. Immediately after breakfast I get dragged into our pickup by my partner Rainer. His lovely brown eyes twinkle suspiciously from his narrow face, but do not give away anything. With that Aquiline nose and the shoulder long dark hair he is the greatest love of my life. Once he taught me how to dismantle and put together my motocross bike and I was his most attentive pupil. We first met on separate trips to Canada and followed our dreams years later when immigra­ting together to this amazing country. When we came to the Yukon in 1993, we started to manage a highway lodge in Haines Junction, a small community at the foot­hills of famous Kluane National Park. This is where we met Mabel, who runs the local equine stable offering horse packing tours from half a day to weeklong adventures. Nearly a year into our life in Canada, on my birthday, both of them are up to something, but they are not telling, commandeering me into the truck. 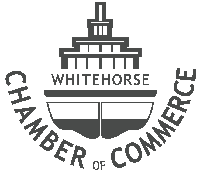 Without any explanation we turn left on the Alaska Highway, rumble slowly through Haines Junction and turn left again at the RCMP sta­tion. Leaving town behind we soon find ourselves on the Old Alaska Highway, an abandoned gravel road that leads to Mabel’s oat and hay fields. Most of her horses spent the winter here on open pasture and can now be seen pawing in the snow for stubs of straw or new blades of grass. My friends order me out of the truck, then tow me to a nearby fence right in front of a group of these lovely creatures. They had heard the Pick-up doors close and heads fly up in perfect synchrony. Some come trotting to the fence, others remain where they are suspicious of potential work or actions that do not comply with their current state of laziness. A glorious panorama frames this scene: Majestic, snow covered peaks of the St. Elias Range arrange themselves under an endless blue sky, freckled with a set of unruly wispy clouds. As part of the world famous Kluane National Park, this mountain range frames my new homeland, Kluane Country, on the western border of the Yukon Territory. Wide open landscapes stretch out at the mountains base, where rivers and animals run free, where snow accumulates in the winter and the sun lets the flora bloom like crazy in the summer. However, I don’t get to contemplate this beauty at any length, for I get pushed towards the fields. I nearly missed the: “That one is yours”. Oh my god! I can’t believe it! I was just given a horse for a birthday present. And then I believe it with all my heart. My wildest dream came true. Get on the Notification List ! Mit Getoese zerissen die Felsen das rauschende Wasser, als dieses sich aufbaeumte, ueberschlug und wieder zurueckprallte. Eine der schaumgekroenten Wellen packte das Kanu, riss es empor und stuerzte es in das naechste Wellental. Der erste Brecher schlug ueber den Bug. Fuer eine Sekunde war ich wie gelaehmt, unterbrach das kraftvolle Durchziehen des Paddels. Ich war nass bis zur Huefte, und die Ladung schwamm im Bootsrumpf. Das Buschflugzeug ist laengst abgeflogen. Es laesst uns zurueck in den einsamen Taelern der kanadischen Coast Mountains. Sieben Monate Winter liegen vor uns. Sieben fremde und spannende Monate. Um uns erstrecken sich endlosen Weiten and Eis und Schnee, zugefrorene Fluesse und tiefverschneite Paesse. Es gibt nur uns zwei – und eine Huette, die wir im Herbst bauten. Ein Abenteuer beginnt, das unbekannter nicht sein kann. Ohne Kontakt zur Aussenwelt tauchen wir ein in ein Leben urspruenglichster Einsamkeit und finden die Moeglichkeit in einer Weise zueinander zu finden, die es so nirgendwo sonst geben kann.